Can you move mountains? 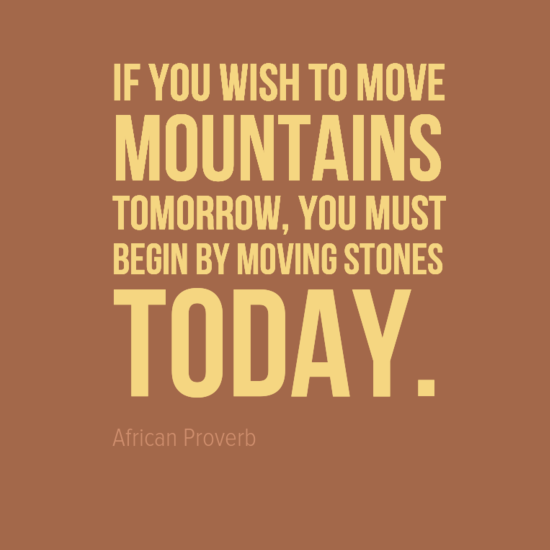 This African Proverb states that if you want to move mountains you must start by moving stones. It is the same in life – each achievement starts with small steps.